Suchitra Sen is a politician in the film. Unhappy with the ban, the makers of the film added a scene where Arti Devi tells her father that Indira Gandhi is her idol and she too wants to serve the country like her ! This was cleverly done to imply that the film does not depict Indira Gandhi’s life. The congress party lost the 1977 elections and the successors, Janata party cleared the ban on the film. 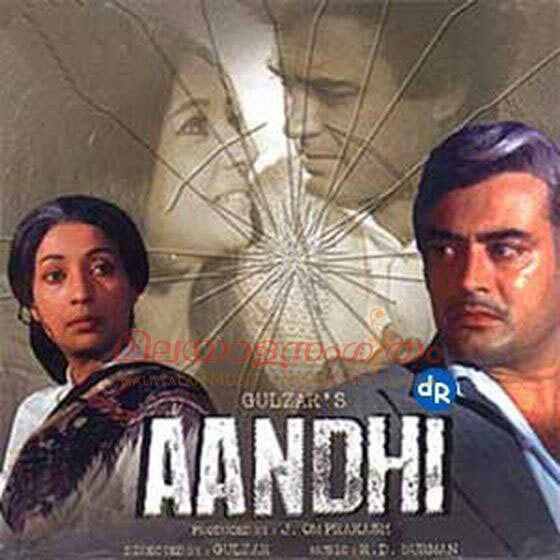 “Aandhi” was telecast on the National channel “Doordarshan” The story might be apparently loosely based on Indira Gandhi’s life and Suchitra Sen’s obvious references during the Emergency to Indira Gandhi led the film to a ban during the period. But see, how the producer and director solved the problem – by including a corrective statement by the character that Indira Gandhi is her idol. ! Mani Ratnam’s box office Tamil hit “Iruvar” (1997) also encountered similar problems . Various political parties staged demonstrations to prevent the theatres from showing the film. The reason for the protest was the feeling that it contained objectionable footage denigrating the Dravidian movement founded by the political leader “Periyar” E V Ramaswamy Naicker. The film is reported as a fictional account of MGR - Karunanidhi tale. In the film it was Mohanlal who played the role resembling MGR and Prakash Raj ‘s role resembling Karunanidhi. Aishwarya’s role was compared with Jayalalitha. Mani Ratnam could convince the political party leaders who protested against the film and clear the objections. The film is considered as the masterpiece of Mani Ratnam by some critics. In 1971 “Cho” Ramaswamy’s Tamil film “Mohammed Bin Tuglaq” also faced protests. Best known as a satirical film, it was an adaptation from the stage play of the same title written and staged by Cho Ramaswamy. The political satire is based on fantasy. The 14th century king of Tughlaq dynasty coming to life from his grave !! The story pointed fingers towards the political parties in Tamilnadu. Being critical of the political party DMK and its leading politicians, DMK tried to get the film banned by the Information and Broadcasting Ministry. The film encountered protests in various centres by the DMK followers. The film was remade in Telugu in 1972 by B V Prasad. ‘Janatha’. After several allusions to the Emergency the politician rapes Janatha. In the film Utpal Dutt performed the role of the villainous politician and Shabna Azmi the role of Janatha. Now here is a quite different story of protest against cinema. Long back in 1935, the Hindi film “Jawani ki Hawa” produced by Bombay Talkies and directed by Franz Osten was the film that encountered with the protest. Devika Rani, Najmal Hussain and Chandraprabha (real name Manek) played the lead roles. A romantic crime thriller, here the reason for the protest was not the story or controversial dialogues, but the music composer of the film by name Saraswati Devi, a Parsee lady whose real name was Khurshid Manchershah Minocher Homji. Chandraprabha was her sister. The film caused a major scandal by employing two sisters from the highly conservative Parsee community, the composer Saraswati Devi and sister Chandraprabha. The Parsee Federal Council tried to ban the film and organized demonstrations at the Imperial Cinema where the film was released. Eventually the predominantly Parsee Board of Bombay Talkies ‘s trustees mediated with the leaders of the Parsee community and got the problem solved. 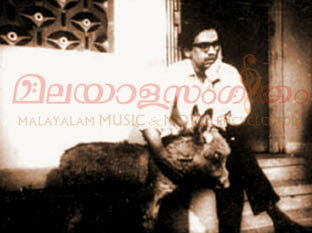 An instance that can be compared with the protest against “Vigathakumaran” (Silent – J C Daniel). In Vigathakumarn, it was the heroine Rosy belonging to the Dalit community who was targeted by the religious fundamentalists. In Jawani ki Hawa, the music composer and her sister belonging to the Parsee community was the issue that ignited the religious feelings of the fundamentalists that resulted in the move to ban the film. A classic Tamil film “Balayogini” (1936) produced and directed by the legendary K Subrahmaniam was opposed by the Brahmin community in Tamilnadu. A reformist social film with an original script, this film tells the story of a young Brahmin widow (V R Chellam) and her daughter (Baby Saroja) who are outcast by their wealthy relatives. The widow is given shelter by a Dalit servant. The enraged Brahmins of the village set fire to the Dalit servant’s house. The producer K Subrahmaniam who was a Brahmin, cast an actual Brahmin widow in the lead role. And the daughter, Baby Saroja was his brother’s daughter. A group of Brahmins met in Thanjavur and declared K Subrahmaniam an outcast. But this could not stop K Subrahmaniam, with his reformist concepts and ideas, from producing films. He replied to this protest from his own community by producing the Tamil film “Bhakta Chetha” (1940) glorifying a Dali Saint. Bhakta Chetha was a huge hit at the box office. Carnatic music legend Papanasam Sivan acted in “Bhakta Chetha”. Periyar E V Ramaswamy Naicker’s anti–Brahmin thoughts during that period was strident, whereas K Subrahmaniam’s humanist attack on the irrationality of cast prejudices was very moderate. It is said that the actress V R Chellam who performed the role of young widow in the film “Balayogini” also had to face with protests from the Brahmin community. It was a time when the conservative Brahmin community’s strident rules did not permit the widows even to come out of their chambers in the house freely and appear before others. And here a Brahmin making a film casting a Brahmin widow as the central character in his film !! How the Brahmins will tolerate this !!! And see how the bold producer and director replied to the protests from the religious fundamentalists. 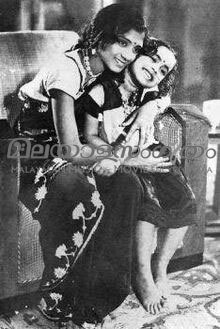 p K Subrahmaniam’s classic Tamil film “Thyagabhoomi” (1939) was banned by the British Government. A film with reformist ideals and freedom thoughts, it took a bold, if not a revolutionary, step to propagate Gandhian philosophy. The emancipation of women, upliftment of Dalits, and getting freedom for India were the causes that the film projected. Orthodoxy in Hindu families, especially Brahmin families , demanded that a wife should undergo any sacrifice to live with her husband and should not separate at any cost. 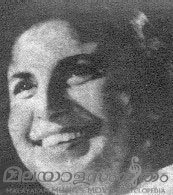 In “Thyagabhoomi”, the heroine Savithri (S D Subbalakshmi) , ironically the character that is associated with utmost sacrifice to her husband in Hindu legends, takes the bold step of telling the open court that she refuses to live with her cruel and immoral husband.! This open defiance in public created commotion in Hindu families. The heroine even goes one step further to offer ‘maintenance allowance’ to her husband. Normally the wives beg for such protection from the parting husbands when they separate. In “Thyagabhoomi” it is quite the reverse. The film was banned by the British Government taking serious view of the film’s message to revolt against the oppressive regime. The Hindu bigots might have become happy over the ban, though the real cause for the ban was the unquenched thirst for the freedom of the nation highlighted throughout the film through some incidents and powerful dialogues. The film was based on the Tamil novel of the same title written by ‘Kalki’ Krishnamoorthy. Another Tamil film “Mathrubhoomi” (1939) directed by H M Reddy also provoked the British Government resulting in a ban on the film. A historical film, its story is about Minander, the Commandant of Alexander the Great, who gains control over India after Alexander. A scene in the film provoked both the British regime and the religious bigots. The heroine (T V Kumudini) learns that her husband has been a spy for the Greek and she throws her ‘Thali” (wedding chain) at him and turns against him. How the British will tolerate this action ? Whether it is the Greek or the British, can a woman act against her husband who supports the Government? And the Hindu bigots, how they can tolerate this action of a wife against her husband, whom she is supposed to obey always? The British regime banned the film (and the Hindu fundamentalists might have become happy). The Congress leader S Sathyamoorthy intervened and got the ban order rescinded. 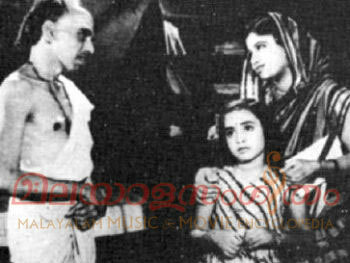 The Bengali film “Chinnamul” (1950) directed by Nemai Ghosh faced problems even before its production. The film was about the aftermaths of partition of India following independence. The story pivots around the hardships of a large group of farmers from East Bengal who had to migrate to Calcutta. Made with the support of IPTA (Indian People’s Theatre Association) the film was made under trying conditions including police harassment – the script was seized following a court order. The Censor Board removed several scenes and the film was released following the intervention of B N Sircar, owner of the legendary “New Theatres”, Calcutta. The realistic film failed at the box office. The producers recovered the costs when USSR bought it on the Russian film director Pudovkin’s recommendations. The film was dubbed to Russian language and titled “Obejdolni”. Truth and reality when exposed always offended a group of people !! Cinematograph Act passed during the same year, 1952. 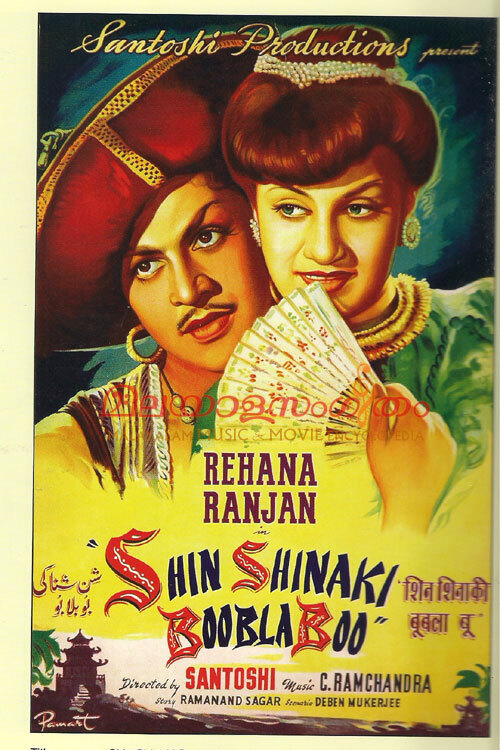 Given a Universal certificate by the Censor Board, the Ministry of Information and Broadcasting banned the film because of its ‘low moral tone’ and because it “..throws the glamour of romance and heroism over criminal characters , treats sacred objects irreverently and is, in consequence, opposed to the interests of public decency and morality" (objection as it was raised by the Ministry). Directed by P L Santhoshi, this film's music composed by C Ramachandra became super hit. Ranjan, Rehana and Sadhana Bose in the lead roles. The composer experimented with Jazz in American rhythms successfully. The ban was revoked later but it ruined the commercial chances of the fantasy tale. The story was as usual – the heroine with the help of the hero taking revenge on her father’s enemies. And how come it was objected by the ‘fanatics’ in the society - no clue! A censor ban was averted through the personal intervention of the Central Minister. Yes, this is this rare incident that Pattabhirama Reddy’s Kannada film “Samskara” (1970) tells us. Based on U R Ananthamoorthy’s novel written in 1966, the story pivots around the Brahminical bigotry. The corpse of a Brahmin who became notorious by eating meat, drinking etc and marrying a Dalit woman is refused cremation by the Brahmin community. A rebellious but charismatic Brahmin rejects his caste’s religion and cremates the corpse. The Censor Board objected to some incidents in the story since it was felt that it may pave way to outbreak of protests from the Brahmin community. It was the personal intervention of the then Information and Broadcasting Minister , I K Gujral that averted the ban on the film. 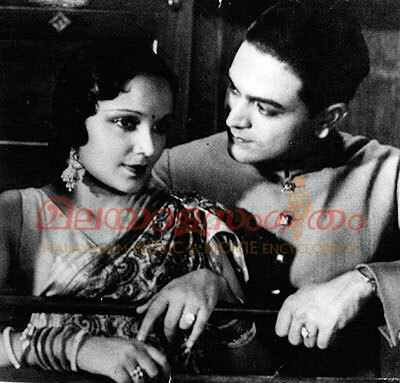 Girish Karnard and Snehalata Reddy played the main roles. The film dismisses religious subtleties in favour of simple humanitarian values. The tamil film directed by John Abraham, “Agraharathil Kazhuthai” (1977) was another film that became target of the religious fundamentalists. An acidic satire told in an innovative, surreal narrative style, making excellent use of repetitions for comic effect, on Brahminical bigotry and superstitions. The film was shot around a Brahmin colony in Kunrathur near Chingelpet (Madras) and Loyola College. Although Brahmin bigots tried to have the film banned, it is more a morality fable about innocence and guilt. The film received a national award, but the Tamil Press ignored the film. And to add insult to injury, in late 1989, Doordarshan thought it prudent to cancel a scheduled Television screening as well. !! The story is like this – A donkey strays into the Brahminical enclave in a village and is adopted pet by a Professor (M B Sreenivasan), a Brahmin. Ridiculed by his caste fellows, he asks a mute village girl to look after it. The girl’s still born baby is deposited outside the temple. The donkey is blamed for this and it gets killed. Guilt then induces the priests to start seeing miracles. The dead donkey becomes an object of veneration and is ritually cremated by the villagers. In a symbolic sequence, the fire spreads and engulfs the entire village. Only the Professor and the mute girl survive. Mrinal Sen’s Bengali film “Calcutta 71” also faced problems due to its realistic approach towards poverty in the country. The film’s aim was defined as “As long as you present poverty as something dignified, the establishment will not be disturbed. We wanted to define history and put poverty in its right perspective ”. The film became a major cultural rallying point for student radicals, its screening at the Metro Theatre in Chowringhee, Calcutta being placed constantly under police surveillance. Despite a ‘disclaimer’ at the outset, the much talked about Hindi film “Ye Raaste Hain Pyar Ke “(1963) produced by Sunil Dutt and directed by R K Nayyar , was a re-play of the “Nanavati Murder case” of 1959. But the audience could realize from the beginning of the film that the story is developed on the case. But the producer did not face with any serious problem or protest, may be just because of the “disclaimer”. As in the above case, if Kamal had attached a “disclaimer” (as it is done now by all TV serials, films etc) to “Celluloid”, he might not have landed in so much controversies – especially political. But in that case he cannot claim the film as an authentic bio-pic of J C Daniel. Intended by him and publicized as an authentic biographical, Kamal should have gone deep into the history of Cinema and the life of J C Daniel It is doubtful whether he met the children and other close relatives of J C Daniel before production of the film. Further he should have sought some documentary evidence like reports in news papers or magazines (if any such report was there) related with the interaction of Chelangad (Sreenivasan in the film) with the Government Secretary (Siddique in the film) which became the root cause for the political controversy over the film. While producing films on the life of artists, politicians or any other personalities, let the producers and script writers be more vigilant . And let the people accept the truth and reality exposed through the films. Of course, if the film deviates from truth and reality, it should be protested against. Let us hope that Malayalam cinema will not come across any more controversies or protests over the “biographicals” to come in future!! A report in Malayala Manorama (supplement) dated 3.3.2013 carries J C Daniel’s daughter's statements implying that she does not know anything about the Government’s indifferent attitude towards J C Daniel. Representatives of the Government visited Mrs Janet Daniel and enquired about pension etc and she refused to accept Government support. P U Chinnappa came to J C Daniel’s house in Madurai (and not at Pudukottai for dental treatment as shown in “Celluloid”) and it was a friendly visit. The Marathi film "Harishchandrachi Factory" (2010) directed by Paresh Mokashi was a biographical film on Dadasaheb Phalke. 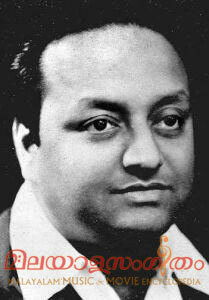 Nandu Madhav who performed the role of Phalke acted in the role of Dadasaheb Phalke in Kamal's "Celluloid" also. If the script writer had interviewed the close relatives of J C Daniel, the script would have been more authentic. “Thyagabhoomi” – Following the ban on the film, the gramophone discs of the patriotic songs sung by D K Pattammal (78rpm discs) were released without mentioning on the records label the name of the film. These songs propagated freedom thoughts! See how the producer overcame the ban in releasing the songs that, to some extent, fulfilled the aim of the film – raising voice against the British Raj.